When your baby arrives at the beautiful age of 6 months, you start to see a lot of changes on a daily basis. Everything seems a surprise. The development seems to be faster and with more emphasis on mental and cognitive skills. By the 6th month, the baby already recognizes his family and closest family friends. They develop the ability to interact with all those familiar faces in several ways, except when they feel their other needs aren’t being met, such as hunger or sleep. You must be thinking “but what will have happened to bring so many changes?”. The truth is that it is not related to a specific event, but with the maintenance of different rituals and behaviors, the so-called routines. Routines are fundamental for any individual, especially for children and infants. Routines allow babies to anticipate events, reactions, and associated emotions. This sense of recognition and anticipation brings a greater tranquility to the baby. Beyond this, it allows children to regulate their emotions accordingly and develop other thinking skills. However, changes are present in all families. By this age, parents find it easy to understand their baby’s nonverbal communication. It sounds less confusing, more concrete. This fact brings a lot of stability and security to the family. Another amazing characteristic that’s being developed is the curiosity. In this phase, you will see your baby’s attention focus on small things like a toy that fell under the table and he wants to see where it went. You’ll see that peekaboo will always be a good entertaining game for your baby, and that is starting to analyze the cause-effect relationships among things. Beyond routines, there’s another factor that provides this big development – attunement! Yes, your attunement towards your baby will be reflected in his development. A baby’s brain is constantly developing. 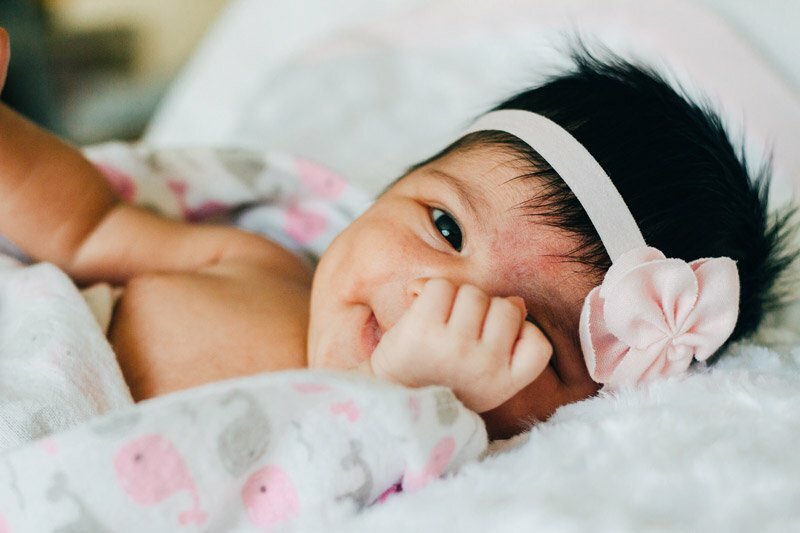 During this stage, the brain is more mature allowing the baby to start developing anticipation scenarios, recognizing parent’s voices and faces associated with different emotions. He’ll be able to follow your pointing finger. When the baby reaches 6 months, there are numerous changes in their behavior. They need more and more time to play and explore, just as they need the same support from their parents. If parents consistently respond to their needs by 6 months, it will be normative that these changes occur. One of the most significant changes is related to the baby’s understanding of daily routines, their relationships and the anticipation of events. These three factors are correlated and influence each other. At this stage, the baby develops an incredible ability to understand the mother’s non-verbal language. He knows that she can speak in different ways, with different tones of voice and that this may have different consequences. Although they are an abstract content for the baby, he realizes that if the mother puts him in the chair of food, starts heating the food and speaks with a certain tone of voice, it will be time to eat. The same applies for bathing, bedtime, etc. This knowledge helps your emotional regulation. This anticipation of what will happen happens because of established routines that happen every day, in the same way. This development is promoted by the correct attunement, emotional regulation and responding to your baby’s needs. If you continue this amazing work, you will promote is normative development. This allows your child to think that “whatever goes wrong gets fixed” (Newton, 2008). This is one of the most fun stages of your baby’s life. At 6 months, your baby will respond and interact with people who do positive games, create a positive play moment. It will be easy to understand when he is happy and joyful with the play, as he will be making noises, babbling in order to show that he is liking it. When my friend’s baby was around this age, we created a simple game that made him truly happy. We would put a big lego piece on the top of the head and then let it fall. He loved it! He would immediately try to find it, and give the piece back to continue playing the game. One of the most frequent problems mentioned by the parents, when they enter the room, is the lack of time for themselves. The first 6 months can be pretty overwhelming and you should be ready for a busy schedule. However, it is important to start making plans for yourself and your partner. Make plans, go out, leave the baby a few hours with someone you trust – grandmothers/grandfathers, aunts, friends. Enjoy your life together. It is truly important. In case you missed the previous article in the series, you can see how your baby’s development progresses through The 4-Month-Old period.